This sports ticket birthday invitation is made to look like a real sporting event ticket! 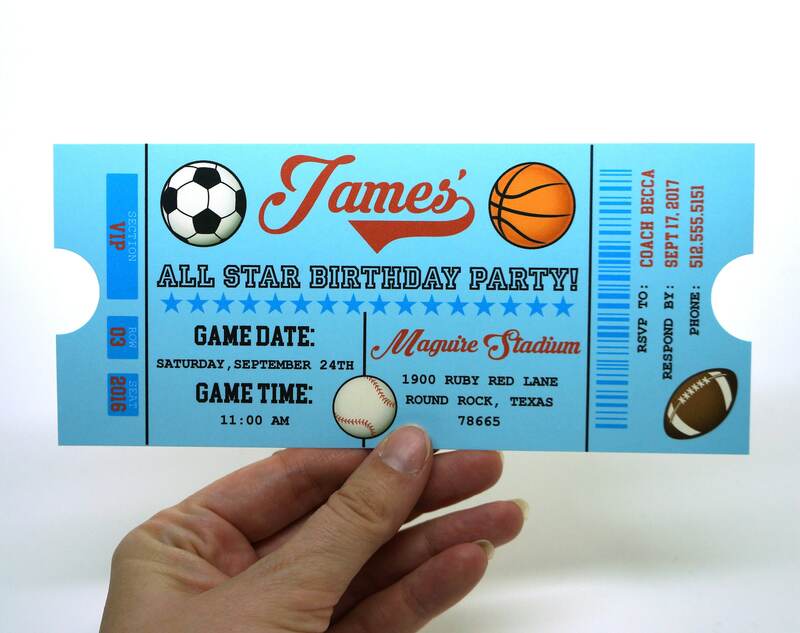 This ticket invitation comes with a baseball, football, soccer ball, and basketball design making it the perfect invitation for the sports loving kid. 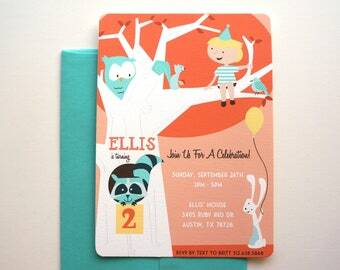 The invitation measures approximately 8.25" x 3.66", is professionally printed on a very thick 110lb cover stock with the sides cut to look like an authentic ticket. 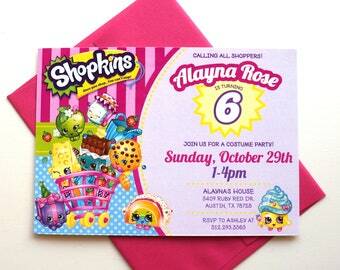 This invitation is $2.50 each with a minimum purchase of 20 invitations.